Uber’s Q4 financials were released yesterday and they showed a company closing the gap on its losses while experiencing strong growth. Uber’s total revenue in 2017 was about $7.5 billion. Softbank invested in Uber in December ’17 at an average valuation of about $48 billion. Why the discount? Because Softbank purchased a lot of shares from existing employees who wanted liquidity. Softbank also invested $1 billion directly into Uber at a $69 billion valuation. So, which is it? Does Uber have a 9x revenue multiple or closer to 6x, based on a $48 billion valuation. Rewind to summer of 2016, Saudi Arabia’s main investment fund valued Uber at $62.5 billion with a $3.5 billion investment. 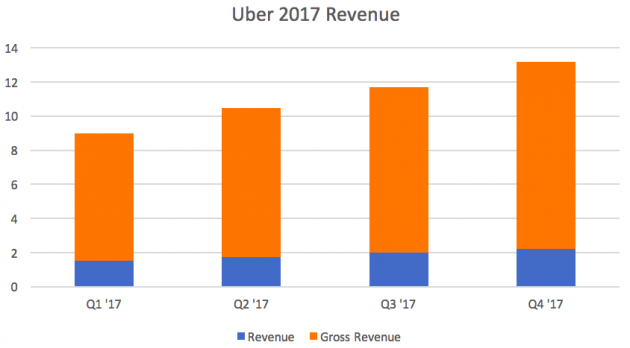 Uber’s revenue to gross revenue ratio in 2017 is pretty consistent at about 20% of gross revenue. In Q2 of 2016, Uber had gross revenue of about $4.3 billion. Which means their trailing 12-month revenue from Q3 2015 – Q2 2016, was less than $3 billion, giving them an over 20x revenue multiple for the Saudi Arabia investment. Are the Saudi’s happy about their valuation? Probably not. Was Softbank’s on-paper valuation of $69 billion orchestrated to save face for Uber and their prior investors? Probably. If Uber were able to generate these revenue numbers and be profitable, this would be a very different conversation. And, 10x revenue multiples would not be out of consideration. As Applico’s research has shown, platforms have higher valuation multiples than linear businesses. Dara Khosrowshahi, Uber’s new CEO, is making progress on this front, but he still has a long way to go before the company is profitable. Only once investors can see a path to profitably can the company begin planning for an IPO. Previously, Dara has stated he wants to IPO in 2019. This timeline means that 2018 is a critical year for Uber to make progress on reaching profitability. It’s unlikely the company will be profitable by the time it IPO’s, but it can show a path to profits to investors. However, as with other platforms like Amazon, public markets have supported unprofitable platforms that can properly inform and set the right expectations with investors. That would mean continuing to spin a growth story to investors instead of a revenue and profit story. 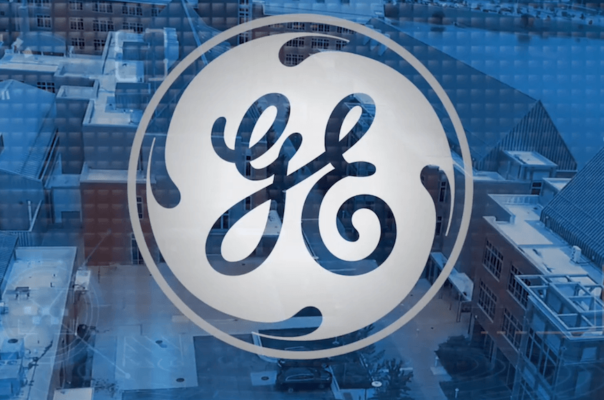 Since the company has exited top growth markets like China in the last couple of years, that would be a tough sell. For Uber, it’s likely profits or bust.